GIFTCARDS! – thrift store, salvage store, reuse big box store in Gainesville, FL! Home How to Help GIFTCARDS! Help us spread the word and give the perfect gift!! 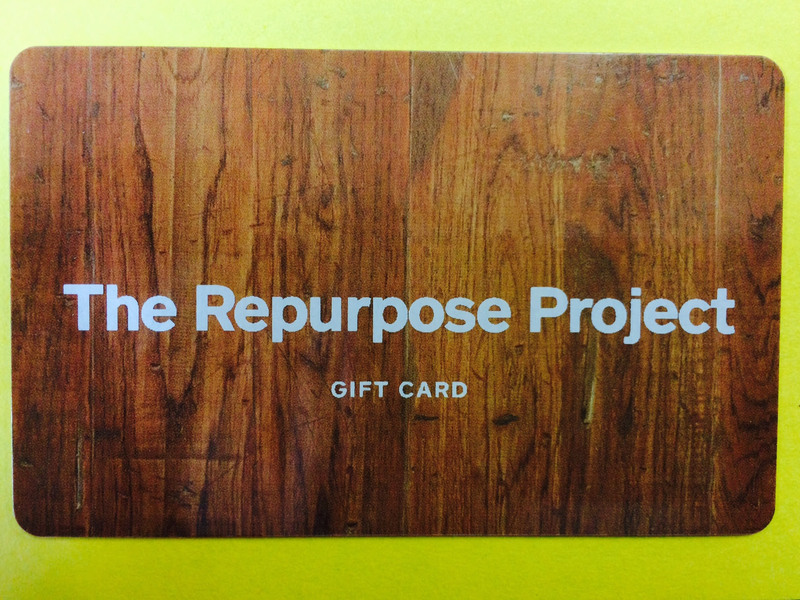 Repurpose Project gift cards are now available! A perfect gift for your favorite: crafter, artist, teacher, builder, maker, pinterest fanatic, child, boss, student, hippy, hipster, tinkerer, seamstress, environmentalist, neighbor, lover…. Want to make this holiday season a green one, but still want to get that special someone a gift?? Get them a Repurpose Project GIFTCARD! Everyone can find something they want at The Repurpose Project! Buy USED! Give USED! Buy LOCAL! …and help support a local non-profit!